You know Easter is near, but "you're not always sure when it is coming even though you go to Sunday school." 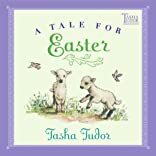 In fact, "it is only when Good Friday comes, and you have hot cross buns for tea, that you know for certain Easter will be the day after tomorrow." 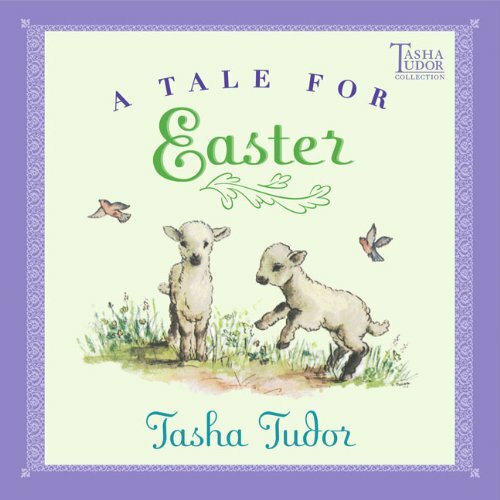 A little girl prepares for Easter by asking the chickens to lay her plenty of Easter eggs and dreaming "the loveliest dreams" of a wee fawn that makes her light as thistledown and takes her on a journey past shiny-coated rabbits, lambs frolicking among buttercups, and stardusted daffodils.